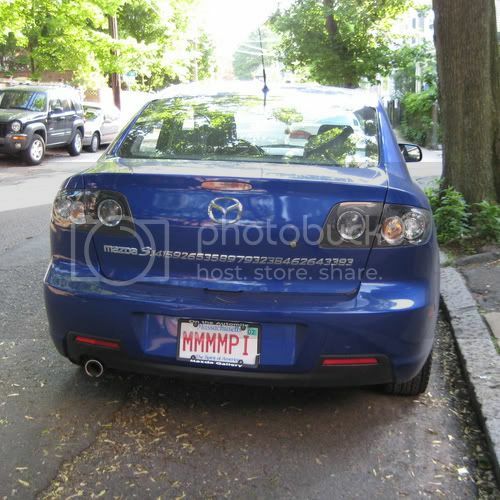 Them Mazda 3.141592653589793238462643393’s have got a nice arse end on them! I don’t know what’s worse… recognizing that this is extremely geeky or the alarming realization that I also think it’s totally clever and kinda cool. 🙁 Unfortunately this is probably means I’m much closer to geekdom than I would normally like to acknowledge. This entry was posted by borysSNORC. Bookmark the permalink.